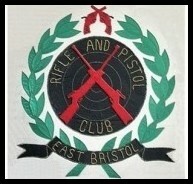 The club is open to all members of the public for the sole purpose of target shooting and the promotion of marksmanship. Subject to current Home Office and Firearms Legislation. Membership is from 9 years (conditions apply), these will be explained when you attend the club. Probationary members will be expected to attend the club on Thursday nights. The club will provide one to one training and all the necessary equipment during the probation period for both .22 rifle and air disciplines. You receive one to one coaching and instruction in safe handling, range procedures and range commands. Further coaching and instruction can be given to individual members as and when requested. The probationary period for new members is 6 months although this can be reduced for current F.A.C holders at the discretion of the management committee. NOTE: If you are interested in becoming a member, please also see "Contact Us" for further info.